Much like last time I had a tasting at Bistro Hatzu, I need to do some pre-eating. Huh? Why??? Well, I happen to play hockey on Sunday mornings and hey, to wait 2 hours afterwards to eat would be excruciating and torturous. 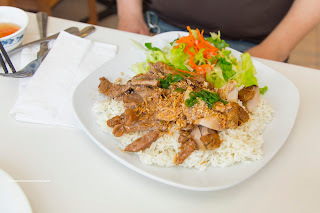 Hence, I joined Milhouse and Kaiser Soze for some food prior to the tasting at House Special Vietnamese. 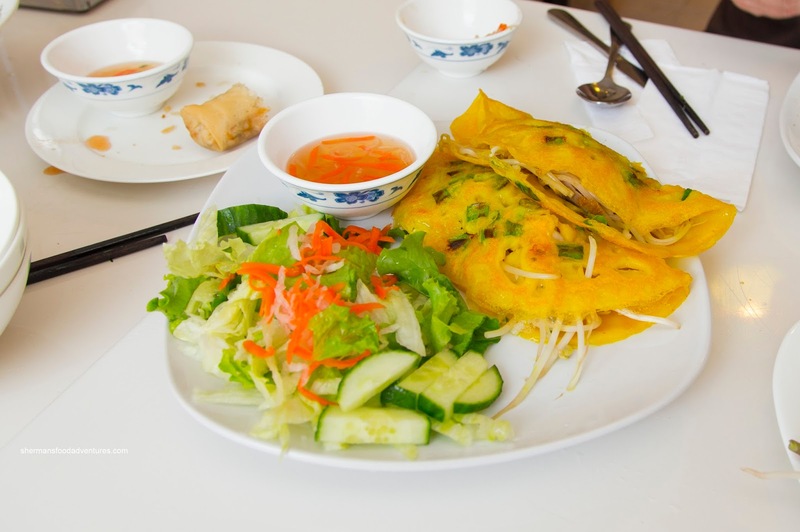 Ironically enough, we ended up selecting Vietnamese food. 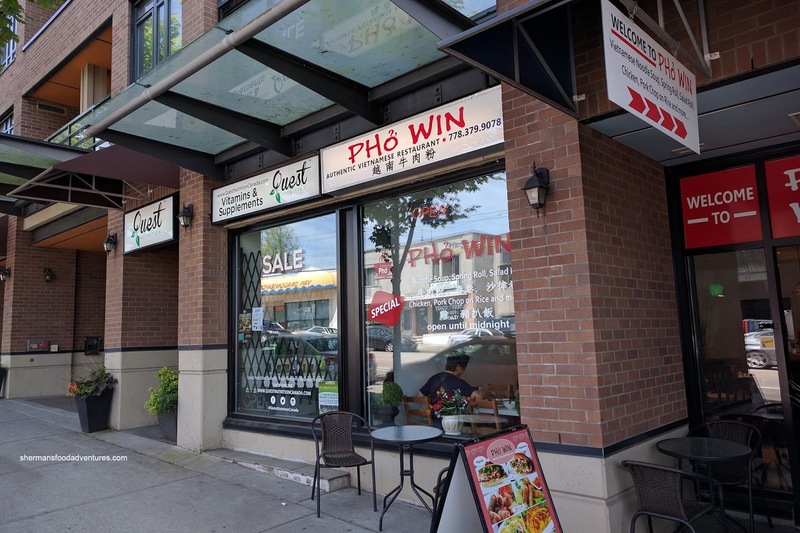 Rather than going to Vietnamese House (which Milhouse and I had tried a few weeks back), we stumbled upon the newly opened Pho Win as few doors down. 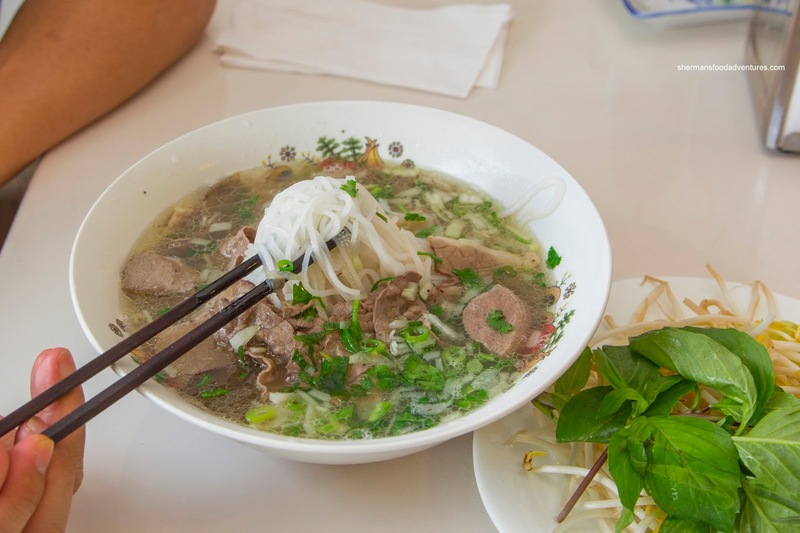 Well, things didn't start off on the right foot with the Phở Đặc Biệt. It didn't look right with its pale shade of clear (yes, that's the best description for it) and small onion floaties. One sip and the broth was disappointing. Not only was it bland, the only discernible flavour was MSG. A bit contradictory, but yes, you read right. That was too bad as the noodles were fine and the meats were tender. 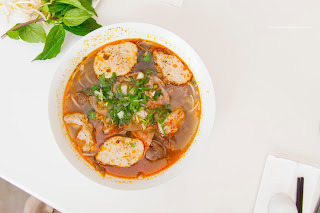 Well, at the very least, my Bún Bò Huế tasted more legit with a definite spiciness accented by a faint background seafoodiness. Noodles were slippery and bouncy while the meats were also quite good. There wasn't any pork's blood nor pork knuckle though. We were encouraged by the nice lady to try their Spring Rolls and really, we should've declined. These wheat wrapper encased rolls were indeed crunchy, but the filling itself was rather dense. However, the worst thing about these was the inordinate amount of onion. I think we needed to get some mouthwash after eating these. Not only was there too much onion, there wasn't the sweetness we were looking for, rather, it was a bit raw-tasting and pungent. 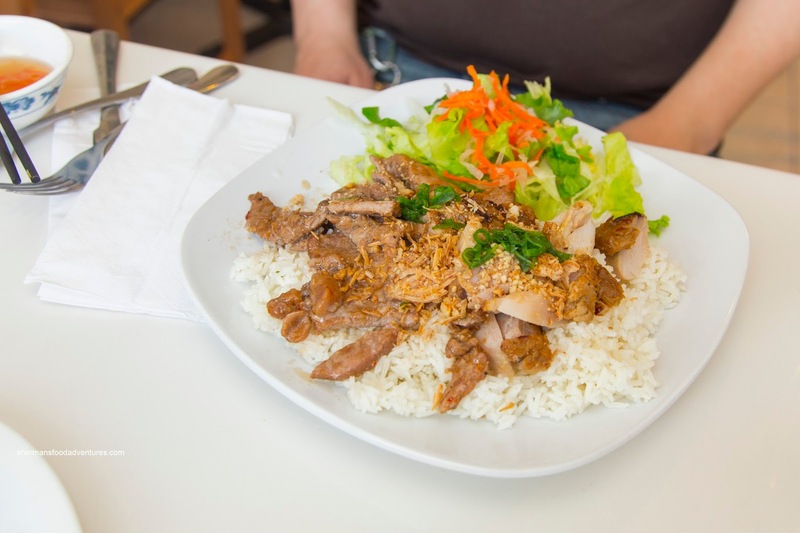 Milhouse's Lemongrass Chicken and Pork on Rice was rather pathetic to look at due to the lack of charring. One bite and the meat was chewy and tasted like it had been steamed (despite it actually not being so). This was extremely wet and not properly prepared. We agreed it was the worst we've ever had. Our last dish was appreciably better in the Bánh Xèo or Vietnamese crepe filled with pork, chicken, shrimp and sprouts. The outside of the omelet was crispy and appealing while the inside was on the doughier side. 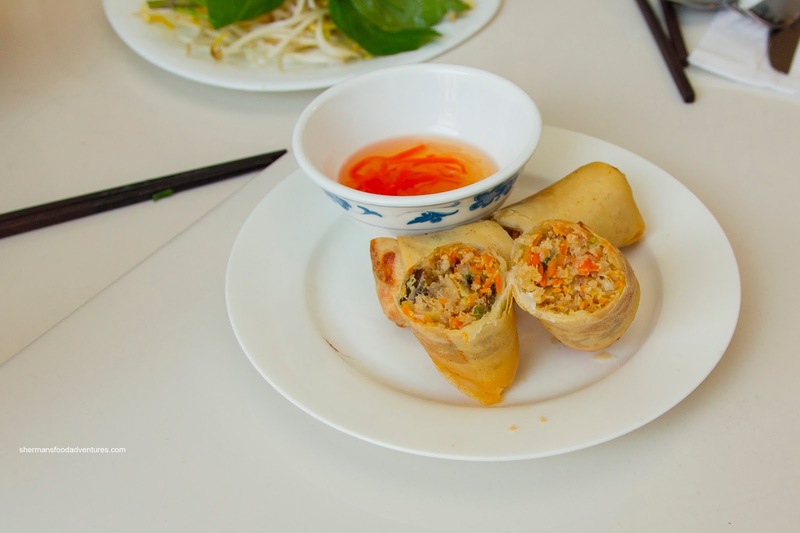 The ingredients were solid though being moist and fairly flavourful with the crunch of the veggies. Not as good as the one at Anh & Chi, but considering the rest of the food, this was a winner. 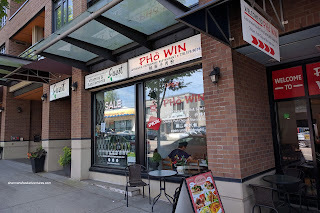 However, with a much better choice (in Vietnamese House) a few doors down, Pho Win is more like Pho Lose. That's a lot nicer review than I was expecting! Too bad that experience ruined a somewhat good day. But still... Vietnamese pho (da) win!